The Remo Emperor Suede has a brighter attack, followed by a controlled midrange and low-end sustain. The Emperor Suede is available in regular, white, and black variations. Remo Emperor Suede drumheads are built with two 7.5mil plies*, and a soft smooth suede finish. Remo’s “suede” finish is etched into the film, giving this drumhead a textured feel on the top. The suede feature gives a brighter attack, followed by a more focused midrange and low-end sustain compared to regular Remo Emperor drumheads. 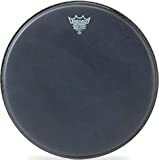 Although this is a newer addition to the Emperor line, these drumheads would be right at home in the 1970s thanks to their warmer sound and shorter sustain. The Emperor Suede are slightly thicker than the regular Remo Emperor, meaning added durability along with a reduced sustain. Remo Emperor Suede drumheads have good responsiveness due to the suede finish. 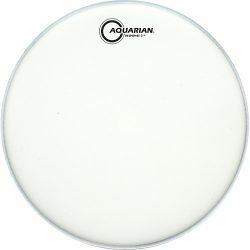 Lighter articulations will come through, making these drumheads good for lower and medium volume situations. 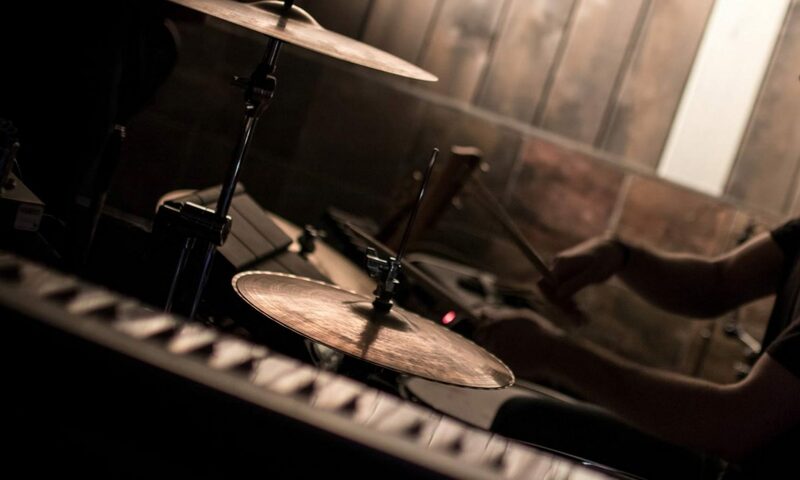 For louder volumes, drum microphones may be required depending on the amount of projection needed. 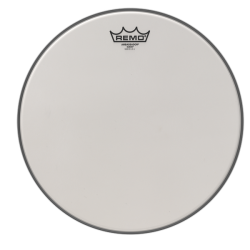 Even though the surface is fairly smooth, Remo’s Emperor Suede drumheads respond well to brushes. 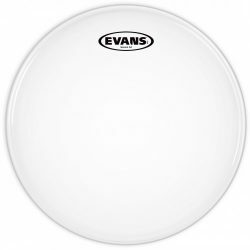 Compared to regular coated drumheads, the Suede brush sound is less harsh and more consistent. 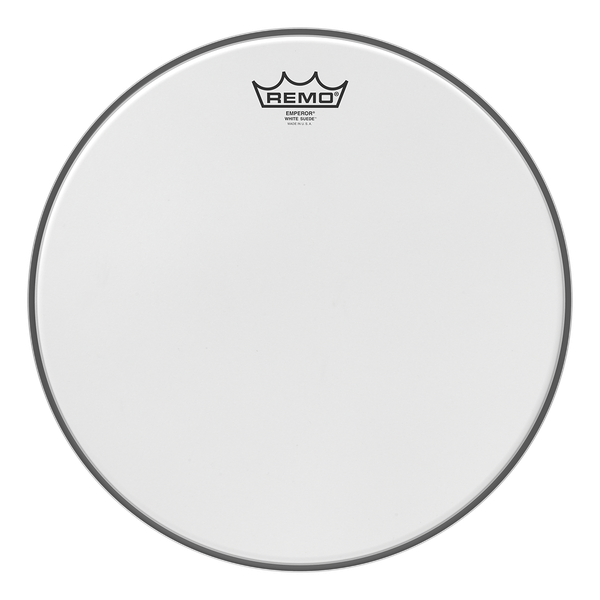 The consistency is due to less variation (less bumps) across the drumhead’s finish. 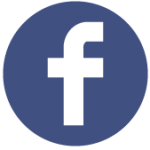 If you want to tame your brush sound, the suede range is definitely worth a try. Emperor Suede heads will also sing when used with sticks or mallets. 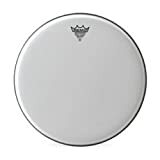 Remo Emperor Black Suede Drumhead, 14"
Remo Emperor Black Suede Drumhead, 13"
Remo Emperor Suede drumheads are available in regular, white, and black varieties, for snare drums and toms. The Remo Emperor Suede and Emperor White Suede are made with two 7.5mil plies. 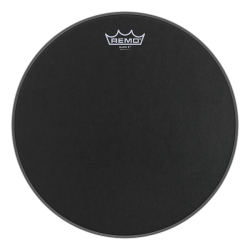 The Remo Emperor Black Suede has one 7mil and one 7.5mil ply.